Elvira Aliende Rodriguez is a partner in the antitrust practice in the Shearman & Sterling Brussels office; she focuses on Spanish and EU competition law. Elvira advises clients across a range of sectors, including air transport, chemicals, telecommunications, energy, pharmaceuticals, steel, hotel accommodation, textiles and financial services. 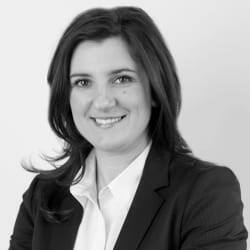 She has extensive experience in advising clients in article 101 of the Treaty on the Functioning of the European Union (TFEU) (restrictive agreements) and the equivalent provisions under Spanish law. She has also participated in state aid procedures and in article 102 TFEU (abuse of dominance) cases before the EU competition authorities. She has in-depth knowledge of working before the European Commission and the European Courts. Elvira is also a lecturer at the College of Europe (Bruges) where she teaches competition law courses in their summer school programme. Elvira was part of the team which, in 2016, won Global Competition Review’s ‘Matter of the Year’ and The American Lawyer’s ‘Global Legal Award for Global Dispute of the Year: International Litigation’; both for the successful appeal by Cargolux (and a number of other carriers) against the Commission’s decision in the Air Cargo cartel, resulting in its annulment.